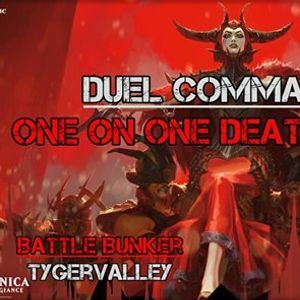 Duel Commander, the 1v1 format to one of the fastest and most popular Magic the Gathering Format, Commander! 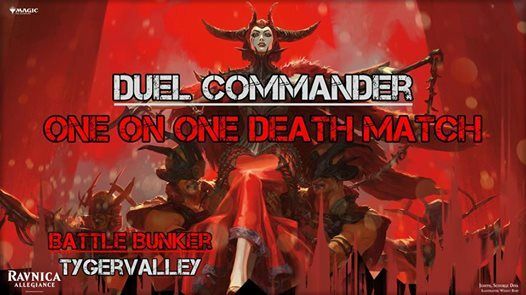 Test your deck building skills against each other and duel it out in a cut throat no politics, no nonsense tournament! 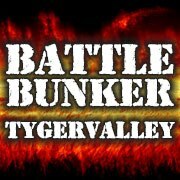 Prize Support: Shop Credit to be earned and for every player that joins there is a 20% off on Store card singles. Players going first does NOT draw a card. Majority of the Bans is to limit massive early game advantage, by banning cards such as Sol Ring, Mox's etc. Sensei's and the cards alike are also banned to prevent games on going for too long.